When we think of our city council over the past couple of decades, we think of some who have served more than one term, Dennis Korpi is one of those. Recently, Dennis Korpi resigned from his position of city council position number 1. He is one of the few who have served as long as he has, in my recent memories no one has served more time on city council than Dennis Korpi. Dennis stated "I resigned due to unforeseen circumstances beyond my control." 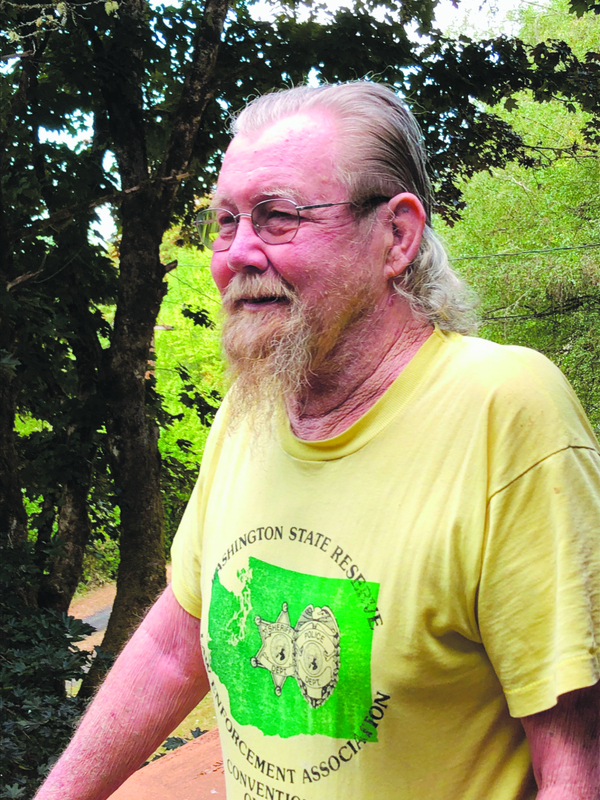 Dennis served five terms with Winlock City Council only missing a few years. Korpi was always the voice of reason, asking the right questions for the citizens of this city. He has been a public servant not just in the position of city councilman but he was a member of the Winlock Fire Department and also a reserve WInlock police officer. Dennis has been involved in the community one way or another most of his life, as he stated "I have always believed, if you live in the community then you should serve in the community" and serve he did. "I have been elected for five terms and I have served for 16 years total." Korpi continued, "1990 I served my first year on council. I served for 10 years then I retired, moved to Florida then I came back and was elected again in 2004. I have served under five mayors and three clerks." Dennis is one of those guys you could always call regarding issues with the city, he knew what could and could not be done. He has always been the one to speak up in council meetings, especially if it meant helping the citizens of Winlock. Dennis has had a heart for Winlock all of his life, he was borned and raised here and has spent most of his life here. He has always been here for the citizens of this community. Dennis is ready for his retirement from city council, he can now concentrate on things important to him. "I have enjoyed my run, I really have. There were times I voted yes when my gut said no but I did it to show council unity." He was always one to show the unity with the council and mayor. Even though he is retired from city council, many of us look forward to seeing him around town. He will still be around you can guarantee it. "I would like to thank the citizens for allowing me to represent them all these many years" and represent he did. He will be missed on council but he will always be a big part of Winlock for what he has done for the community. It's not an easy position to be on city council, some people are happy with your decisions and others are not but Korpi always did what he felt was in the best interest of the citizens of this community. Thank you for your service Denny, you will sorely be missed by all who attend the meetings and all of those who you have helped throughout the years. You have served us the citizens of Winlock well!